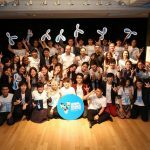 Telenor Youth Forum(TYF) is inviting youth from Telenor Group’s markets in the Nordic region, Europe and Asia, to share their perspectives and ideas on ‘digitalization for peace‘ which is the theme for year 2017. The Forum brings these young leaders together, to collaborate as teams around social challenges. With physical gatherings in Oslo and in Bangkok, the Telenor Youth Forum is a year-long program that is run in collaboration with the Nobel Peace Center (NPC).This event aims to help transform the world we live in by tackling social challenges through digital solutions. The selected TYF delegates will commit to the program for one year, over the course of which they will work as a team to create dialogue and engagement around a social challenge. They will work in collaboration with the overall aim to foster understanding, prosperity and ultimately, peace. With young and promising delegates recruited from this platform, #TYF17 is a journey that starts in Oslo, during the Nobel Peace Prize events in December 2017. It will continue through the year, with a second gathering in Bangkok, where the youth will come together once again to continue creating momentum around their social challenge. The culmination of this year-long commitment will be the unveiling of a digital exhibition, in collaboration with the Nobel Peace Center, documenting the work of the teams, the social challenges faced and the progress made. The applications for Telenor Youth Forum 2017 are now open.